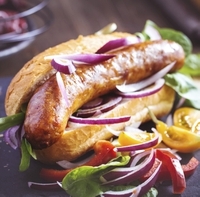 28 Mar 2019 --- Dutch-headquartered meat processing giant Vion is seriously considering strengthening its position in vegetarian offerings. Vion already has a subsidiary in Germany which produces and sells dozens of vegetarian products which are available via wholesalers in the Netherlands and an extension would be logical and rational. For Aschman, the move towards vegetarian offerings is a logical evolution in the meat business. 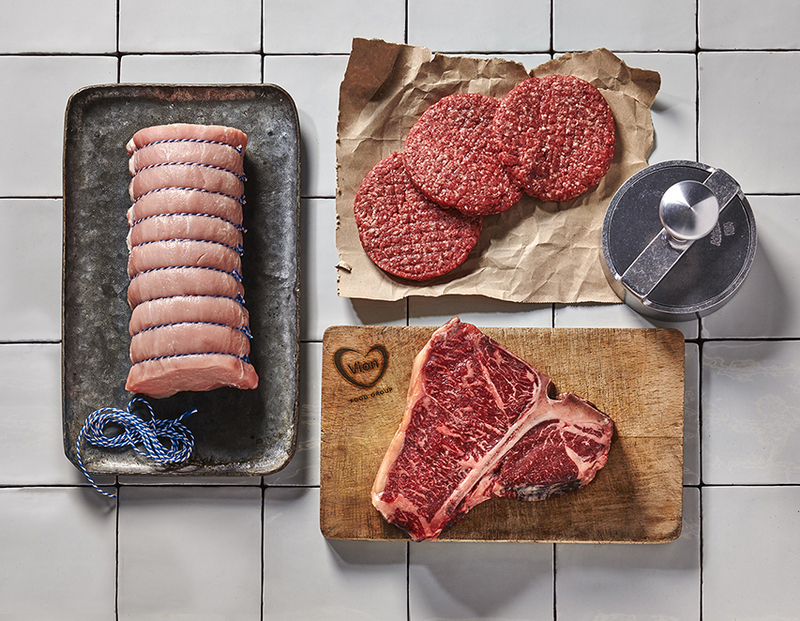 “We expect that there will be a demand for it in the longer term and we want to extend our business in that sense, next to our core meat producing business. We see the market growing by a few percentage points each year,” she notes. Click to EnlargeVion's decline in profitability is partly due to the long hot summer experienced in northern Europe last year. This morning Vion reported that 2018 revenues decreased by 7.9 percent compared to last year, while volumes only reduced by 2.9 percent. This decline in revenue was mainly caused by lower sales prices, which were more than offset by lower purchase prices for raw materials and consumables, resulting in improved gross margins. Aschman explained that the decline has mainly been in profitability, due to the long hot summer experienced in northern Europe last year. “When you have a hot and dry summer, some of the harvests are not as good as in a normal year where you have a rain period. As a result, animal feed becomes more expensive, which in turn causes us to buy the livestock for a high price,” she notes. The other factor influencing the results was the so-called “sneaker effect.” “A lot of people are walking on sneakers rather than leather foods, so we had a decline in prices of the cows. We also had a decline in prices for leather for the car and automotive industries,” she notes. Vion's improved gross margins were more than offset by the increased operating expenses, resulting in a decrease of the earnings before interest and taxes of €6.7 million. Normalized earnings before interest, taxes, depreciation and amortization (EBITDA) decreased from €64.0 million in 2017 to €60.5 million in 2018. Despite the positive contribution of investments made in recent years, which started to pay off in 2018, the impact of the warm and dry summer hit the results of the Pork division. The challenging market conditions in the hides market for the company’s Beef division could not be fully offset by the positive contribution of these investments, the company reported. Depreciation and amortization costs increased by €5.4 million as a result of the investments made in footprint and operational effectiveness in recent years. Vion is currently involved in a strategic plan to modernize their production footprint which will provide Vion with a robust competitive base for future growth. 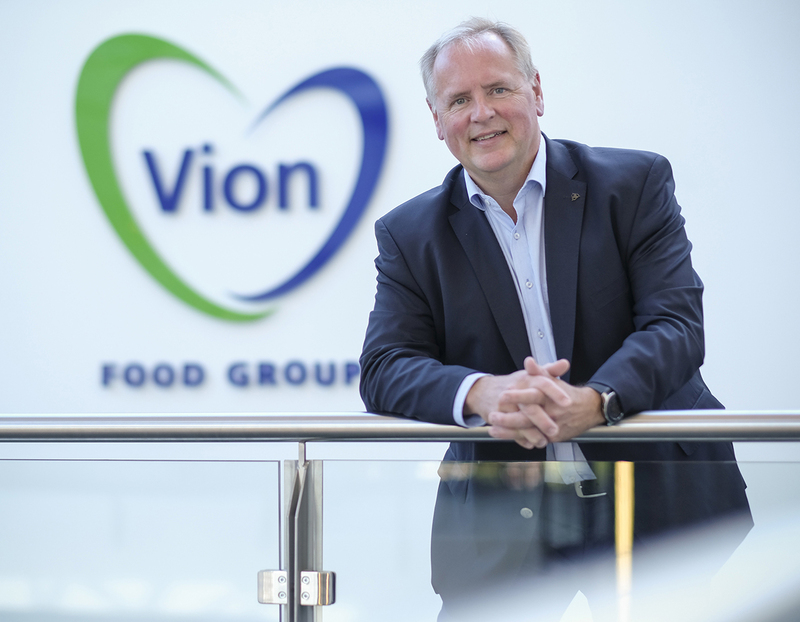 Ronald Lotgerink, CEO of Vion says: “By building on this solid foundation, Vion will initiate a new strategic plan with a focus on building balanced chains (BBC) in close cooperation with our supply chain partners, thus ensuring a sustainable future for our suppliers, our customers and ourselves.” On February 28, 2019, the company announced their latest initiative, an investment of €35 million in their production facility in Boxtel (the Netherlands), which will enable a shorter supply chain and a sustainable way of working at a single location. Click to EnlargeRonald Lotgerink, CEO of VionLooking at the outlook for 2019, Vion is facing several macro developments. African Swine Fever has been detected in Eastern Europe, Southern Belgium and China. Control efforts have been made by the respective authorities to limit the risks of spreading this disease. Vion is actively participating in the debates on food safety, meat consumption, animal welfare and human health, but is also in talks with governments aimed at balancing pork and cattle herds, especially in their home markets. In addition, the “war on trade” between the US and China may impact markets while the outcome of Brexit is still uncertain, the company notes. But the move in strengthening in vegetarian offerings is particularly interesting. Vion’s Salomon Foodworld range includes veggie burgers and mozzarella sticks and it would be relatively easy to expand into the retail market. “One of our divisions is in the food service space, which produces a lot of hamburger patties, frozen products, but we also have a vegetarian section. For instance, noodle sticks made of pasta, but also tortillas and vegetable hamburgers,” Aschman notes. “So we already have a lot of meat replacement products, which we sell especially in the outlets of B2B industries and catering. We are thinking about growing that part of our business because we see that especially in northwestern Europe there is a growth market for that. We already have these products and we feel that we can grow that part of our business,” she notes. The range is currently purely positioned within the food service space, but it could hold potential for greater growth for the company's larger portfolio in retail too. “We are thinking about expanding this business. The product is made of vegetables or it could be plant-based vegetable products. We don’t have meat replacements at this moment, so it is not like growing meat from cells, which is a particular market that we are not in at this moment,” she notes. Back in 2012, Vion launched Hackplus to the Dutch market, which was a reduced meat hybrid option. The product was dropped in the following year following disappointing repeat sales. But perhaps now is a better time for this type of product? Aschman would not rule out a return for what was a very innovative product concept. “We had a hybrid product available, but the market was not ready for it at the time,” she notes. “But we are also looking for those opportunities whether they are hybrid or plant-based,” she concludes.